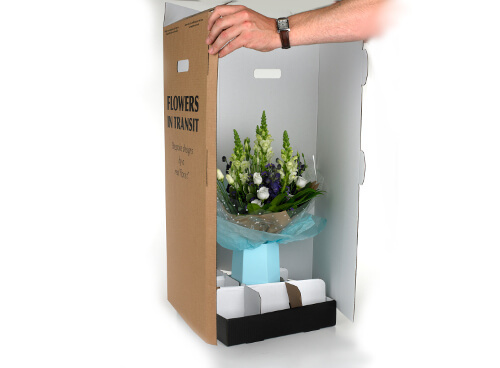 We designed our Transit box in partnership with real florists. 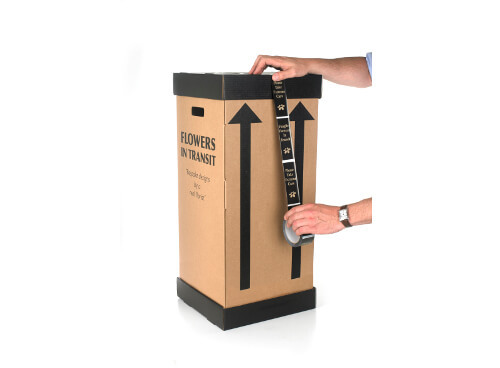 All agreed on 3 main points the product required: Easy Loading, Strong and robust, and as attractive a design as you can make a shipping box. We think we have done exactly that! 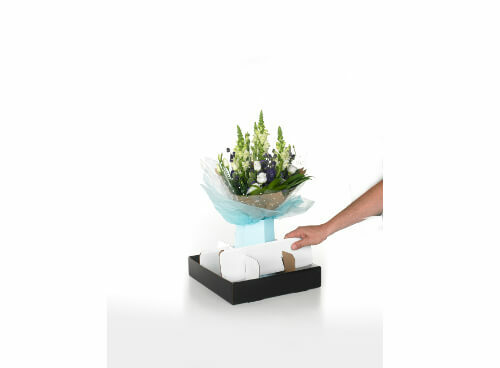 We wanted it stands out from the large supermarkets and internet warehouses. 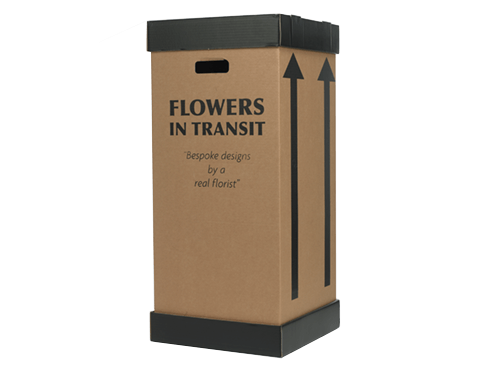 Our shipping box, we believe is the best box available to Independent florists. 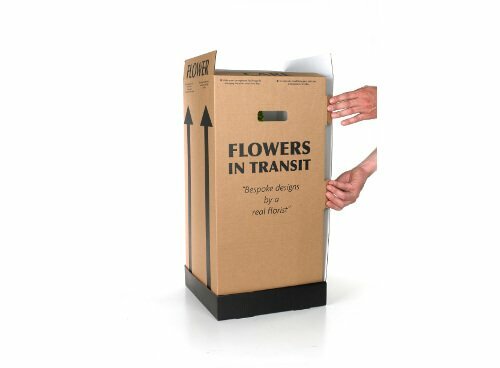 Supplied with our unique locking system that holds the arrangement in place, essential when shipping. 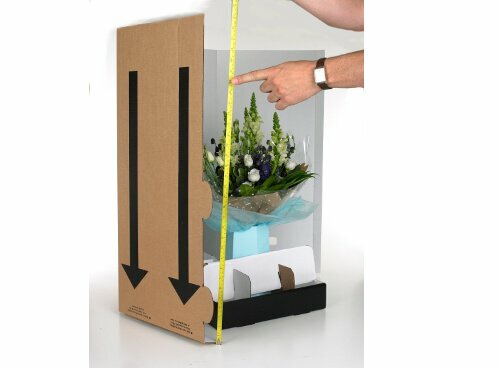 You can reduce the overall height, simply turn the box upside down to cut off the unwanted height. and supplied with 60 meters of colour matching tape. Supplied with a single roll of 60 meter colour matching tape.